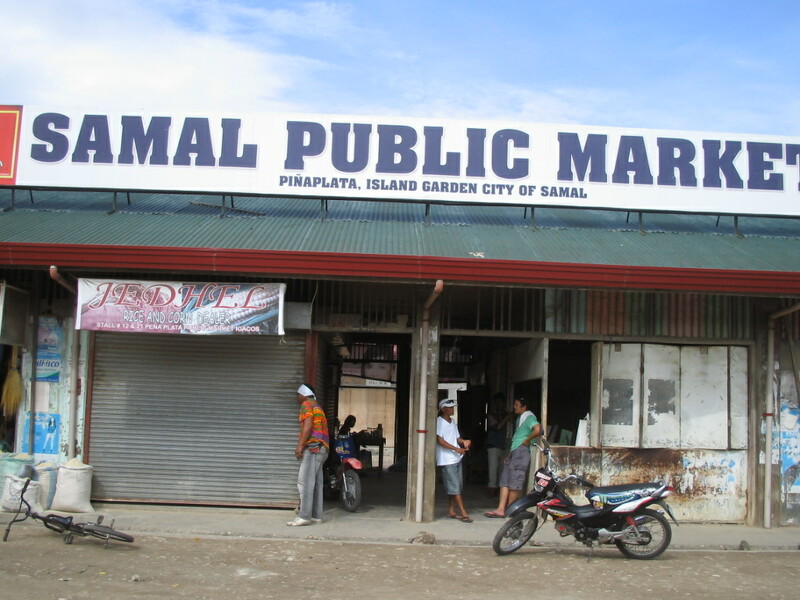 Samal Island, just off Davao City is a city by itself. 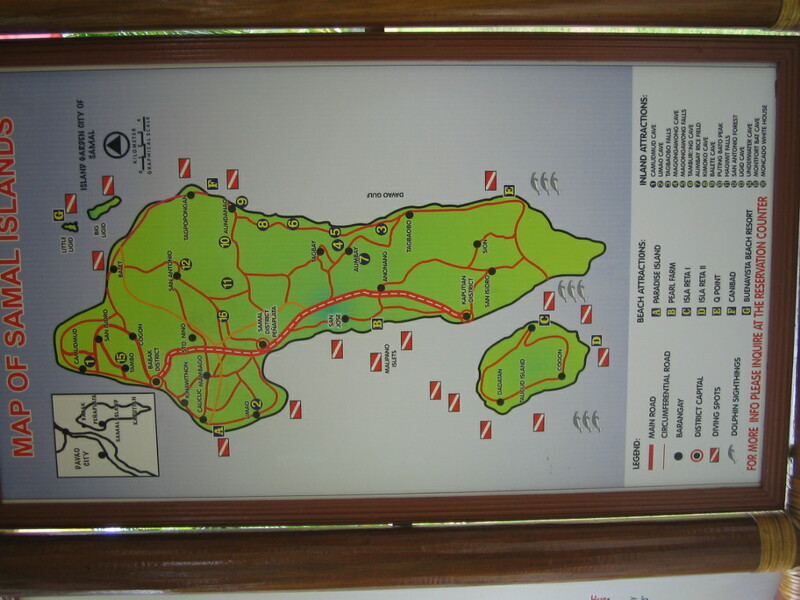 The island has a population of 90,000 in 30 hectares of land. 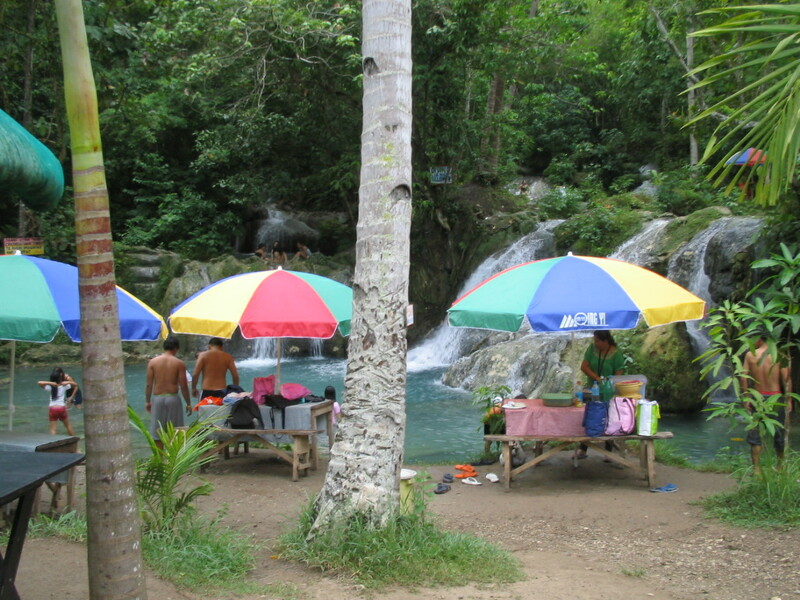 It is a favorite beach destination among the people of Davao, and a must-see destination among visitors to this region. 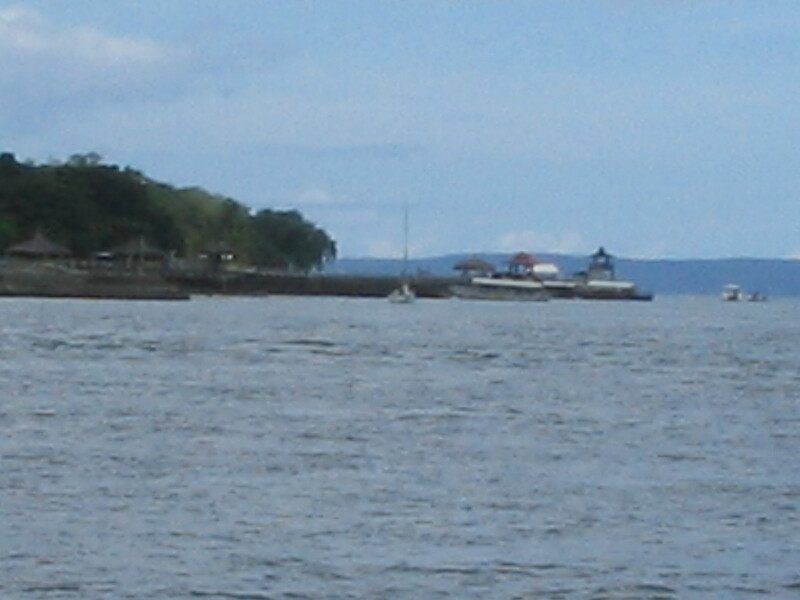 Many equate Samal Island to beach resorts. 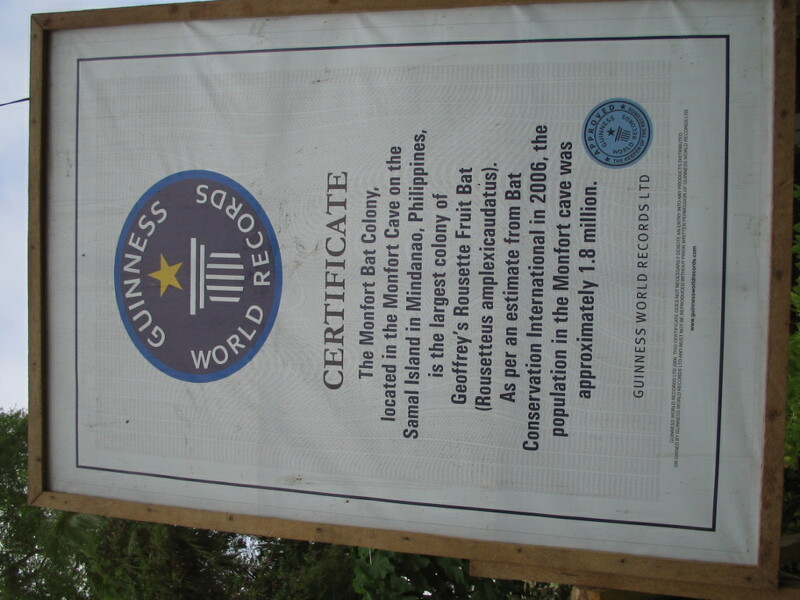 And most visitors to Davao equate Samal to Pearl Farm, the high-end resort owned by the Floirendos. 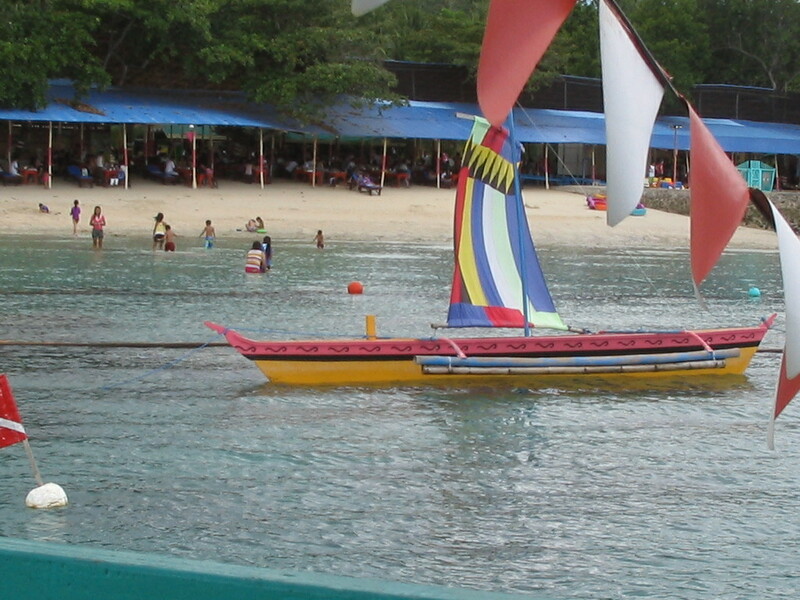 But Samal Island has much more resorts to offer, and many interesting sights to see other than the white sand beach. Just like most Manila visitors, I was booking at Pearl Farm. But I could not be accommodated on my scheduled visit to the island, so i grudgingly booked other resorts I found on the net. I first called Blue Jaz, on the recommendation of the driver of my rented Avis. His cousin works there. I called and was told about various types of accommodations, all the way to a backpackers’ quarters where there are double deck beds. They said they were going to call me again about availabilities. The call came, and I was told the only accommodations left on that busy long weekend was the backpackers’ quarters that can have 8 guests. 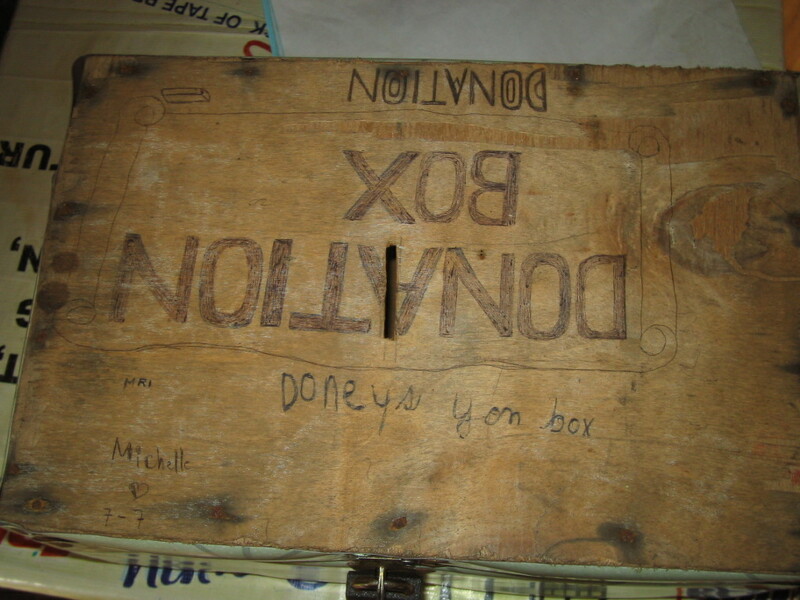 I was ok with the prospect of meeting fellow travelers, imagining my stays in hostels while backpacking in Australia. But my jaw dropped when I was told I had to pay for all 8 beds. I replied that I can’t possibly sleep on all 8 beds for the night, and that other backpackers could come and share the facility, with each of us paying for our beds. They said, with finality, that that is the procedure – – – I should pay for all 8 beds. To this day, I wonder why they called the unit the backpackers’ quarters. Did they always have a group of 8 backpackers in the past? Hmmm. 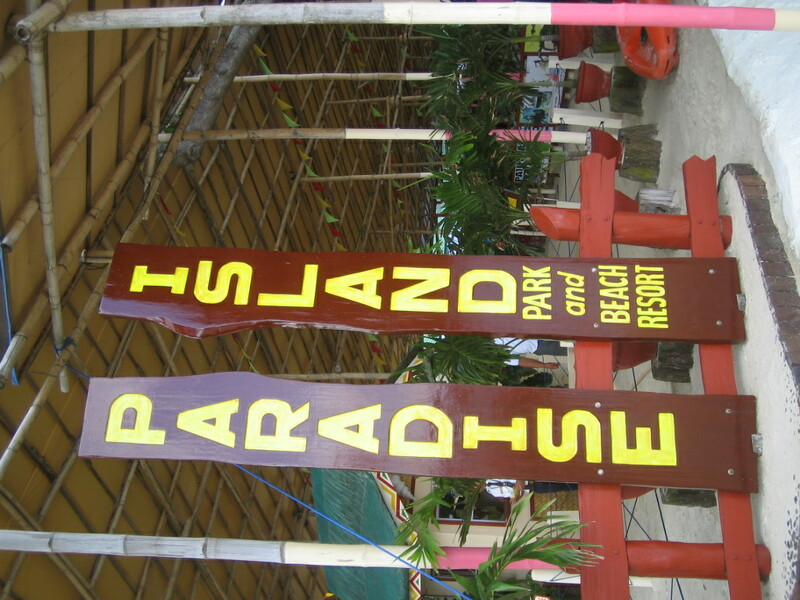 I then called another resort, actually the most popular – – Paradise Island Resort. I had this on low priority because I have been told that hundreds of families and groups of friends go to this resort to spend the day, I was told, though, that they have the second-best facilities after Pearl Farm. 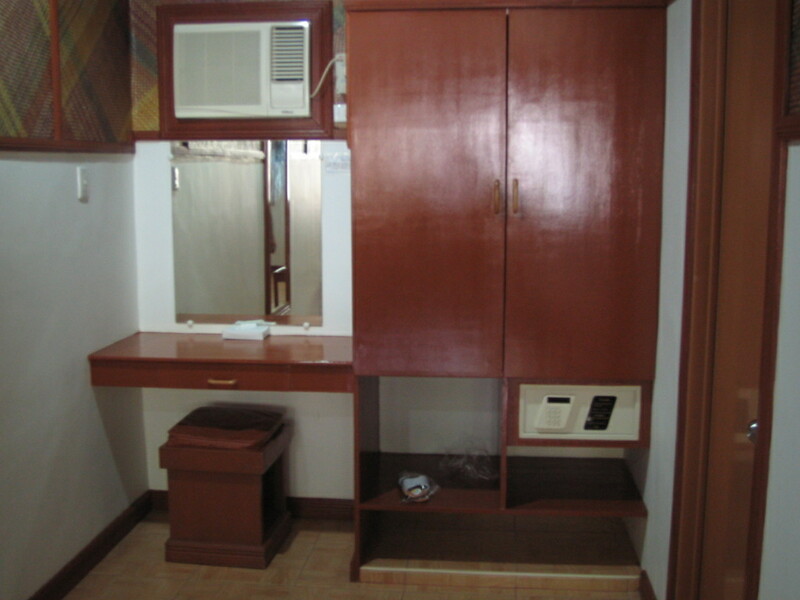 I booked their best room (called premier) for P3,000 a day, with only a cup of coffee to go with the room rate. Assured of a room, I took a taxi to the exclusive wharf of Paradise Island Resort. 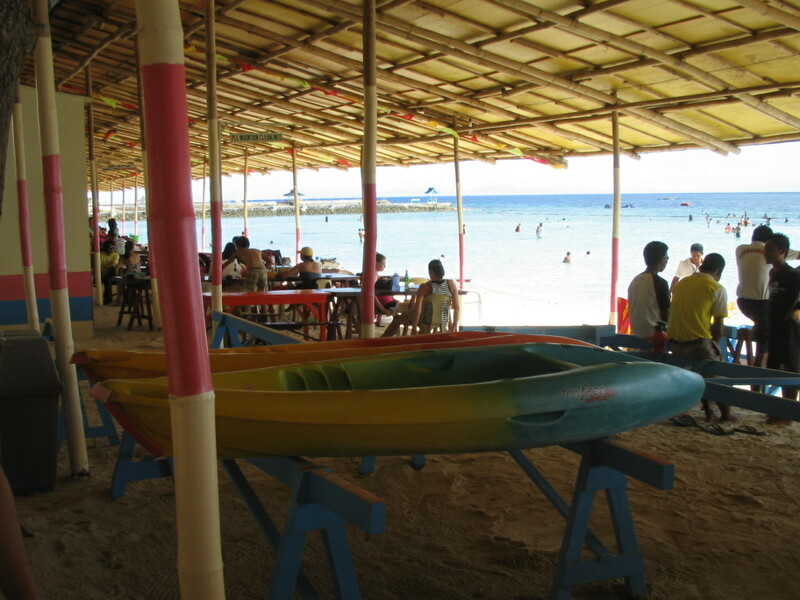 Boat fare is P15 and you may opt to charter the boat for P100 if there aren’t enough passengers. But there are always many passengers – – – it is the most popular destination. 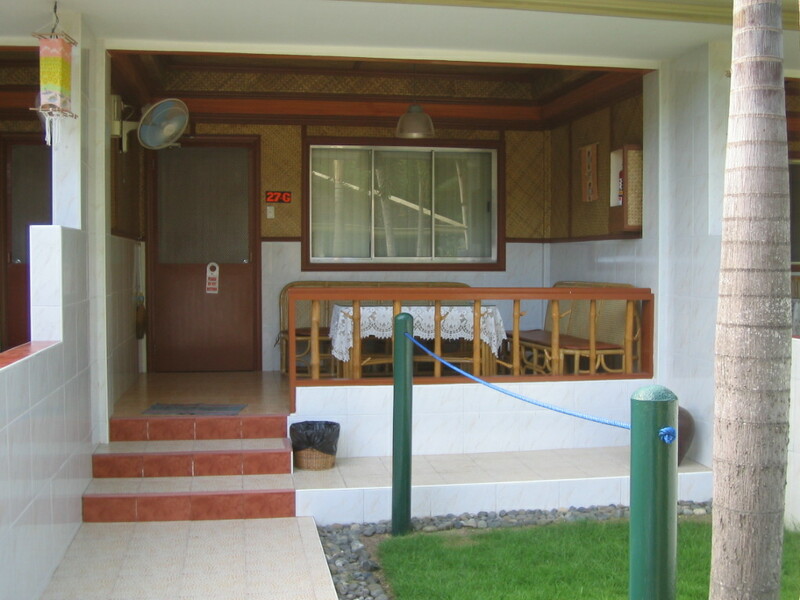 On the way to my resort, I was told that a private beach house I saw on the shore belonged to Pastor Quiboloy. 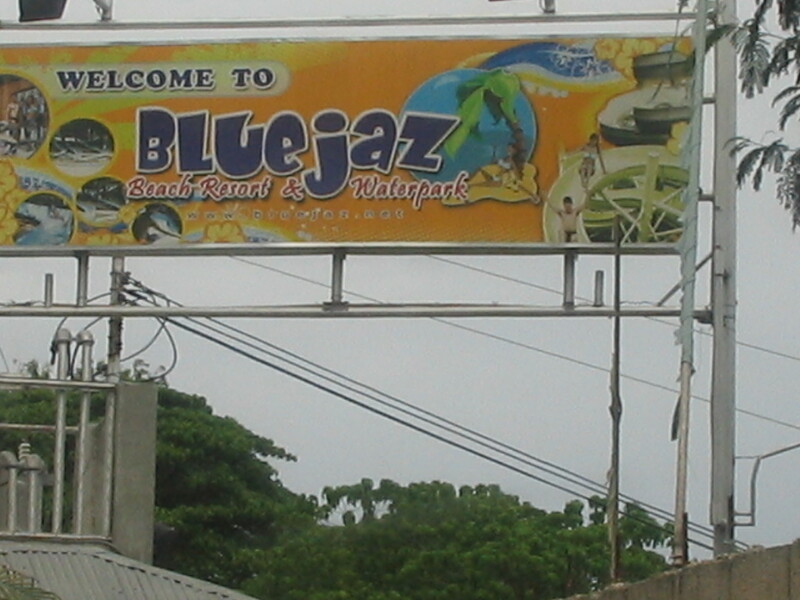 Next to it is Blue Jaz, and then Paradise Island. 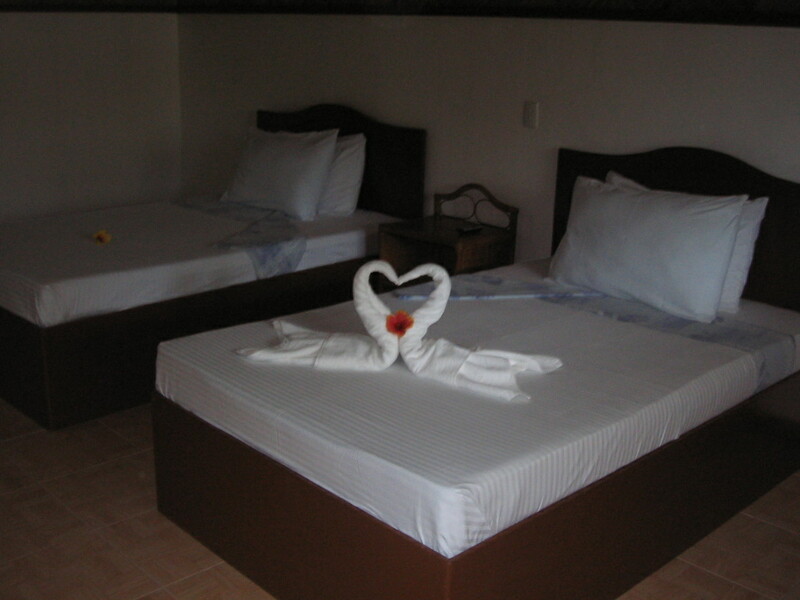 The resort is very organized, and staffed by enough employees who knew exactly their functions. At the entrance, reservations are verified, and those who are staying just for the day are charged an entrance fee. From there, bags are inspected by security personnel, like you are checking into an airport, minus the x-ray machines. I was then advised to proceed to the reception area. My VISA card was swiped, and then I was led to my room, 27-G. The room was spacious and very clean, with a veranda at the front. The bathroom had all the usual hotel amenities. Time now to check what is in the resort. 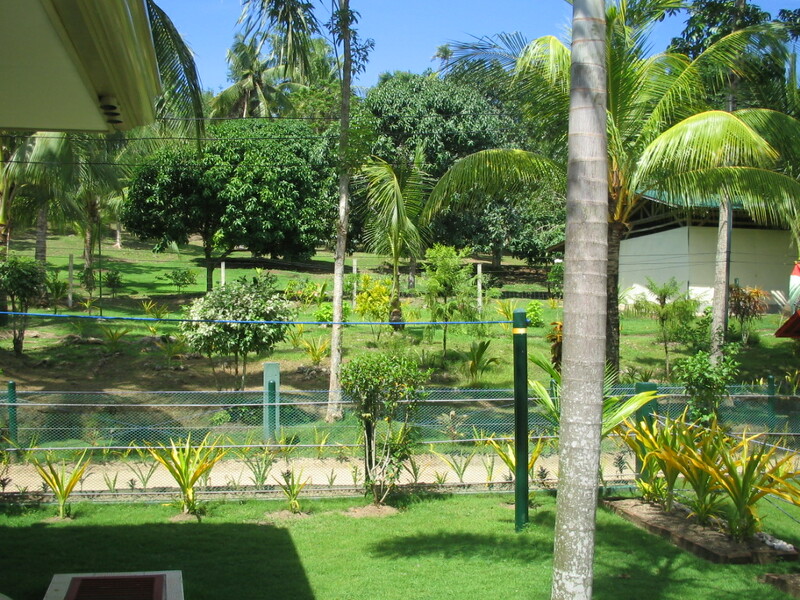 Right outside of the rooms, before getting to the busy dining area by the beach is a well tended garden with a lot of giant ferns, green grass, shrubs, trees, and other ornamentals. 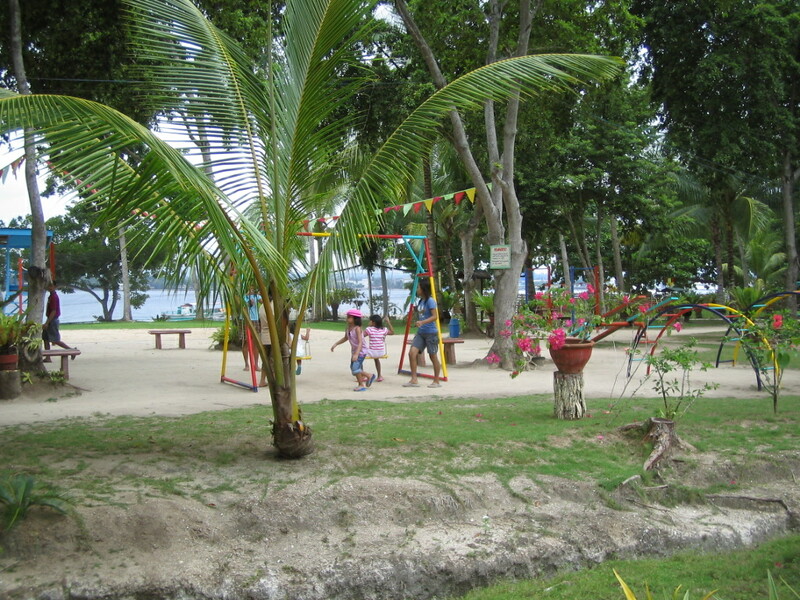 Further away from the gardens is a playground where kids who do not want to swim can still have fun. 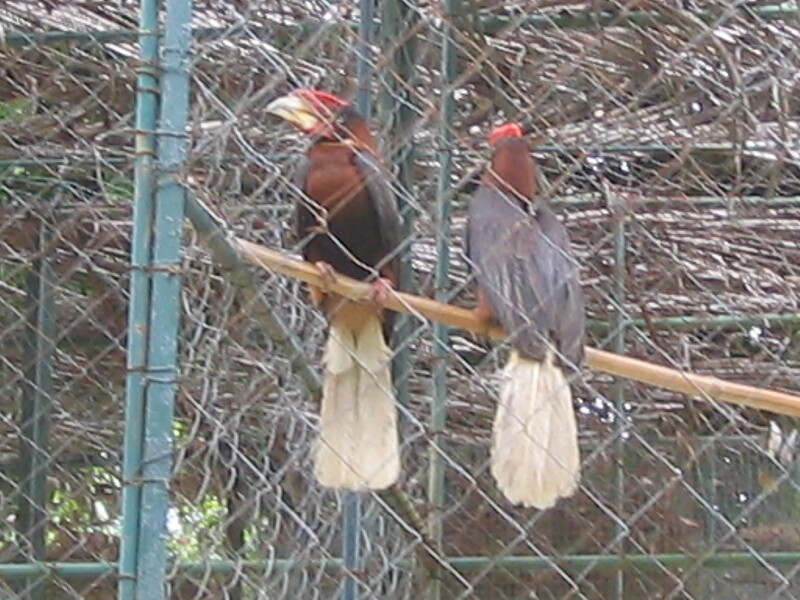 And then there is a zoo which can be enjoyed by kids and the adults, too. 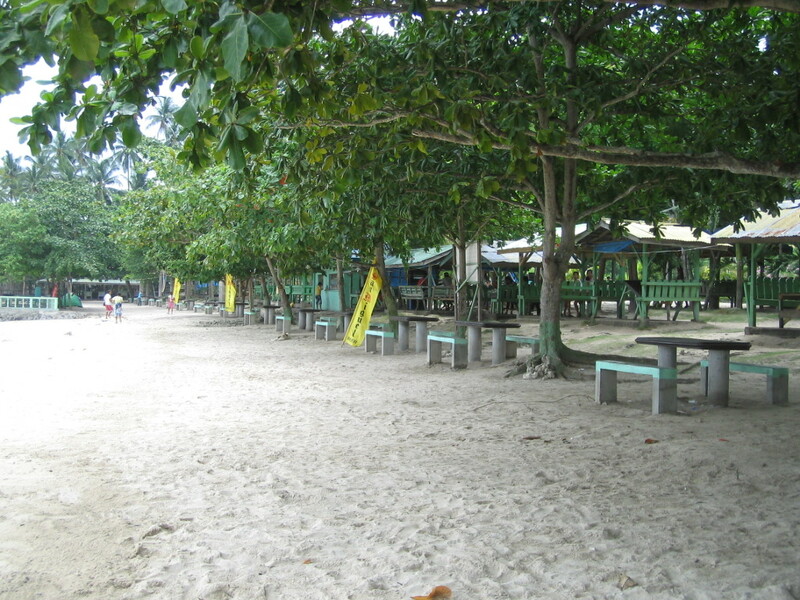 Near the beach, there are lots of lounge chairs, tables and benches almost by the water. It seemed like every little space was occupied. The place looked very busy. 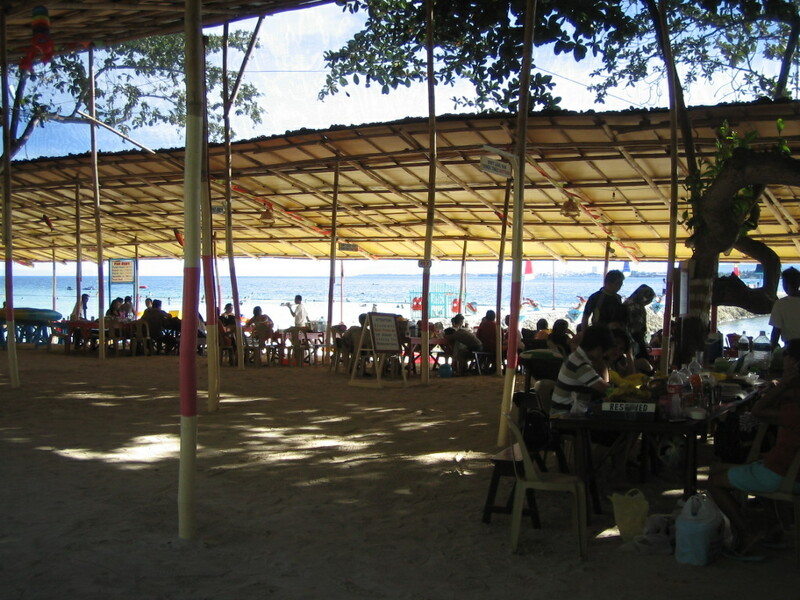 Near the water is a long open-air dining area with native materials for roofing. With so many long tables and chairs, I figure they could sit 500 or a thousand at any given time. 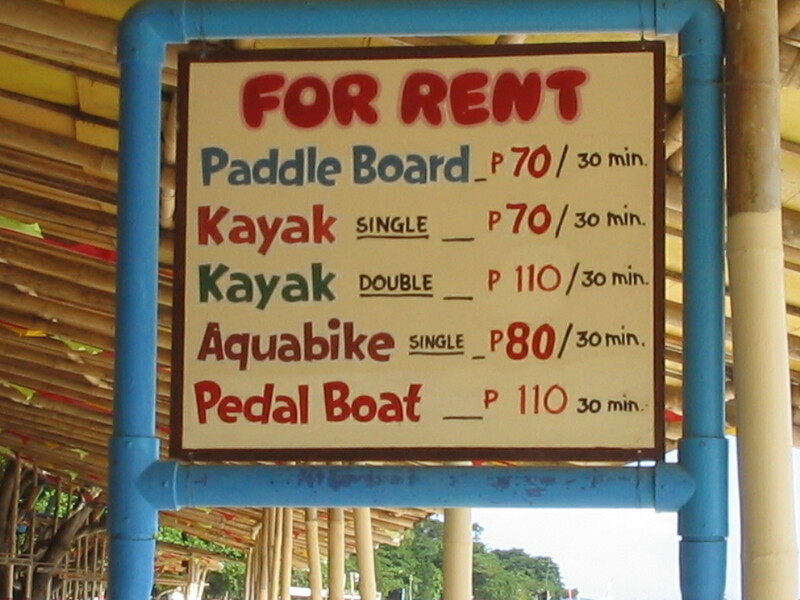 There are various shops where you could buy drinks, fresh buco, merienda, or rent watersports equipment. 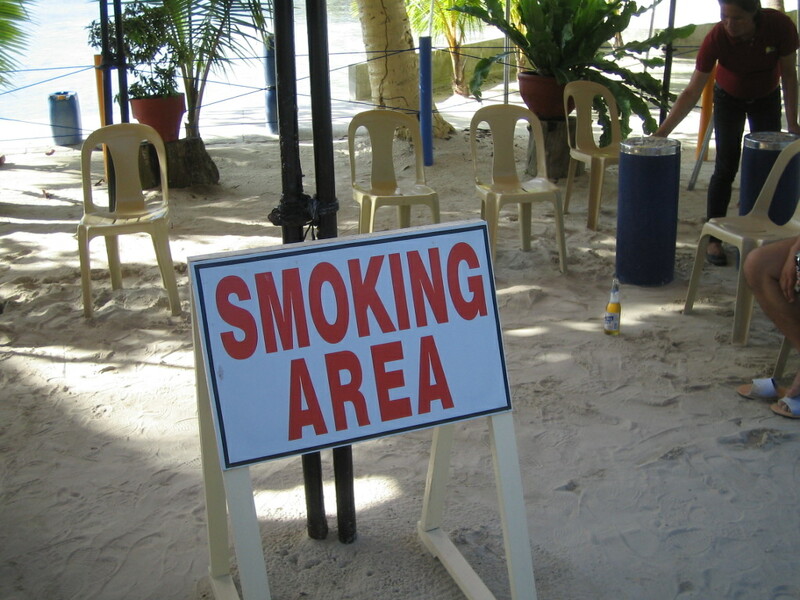 In strategic locations there are Monobloc chairs near ash trays – – – these are the designated smoking areas. 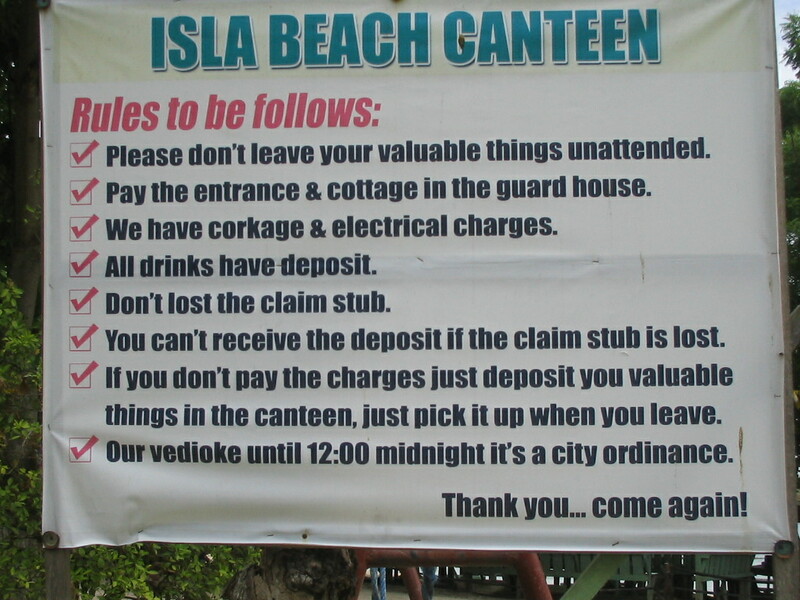 No smoking in the dining areas, or on the chairs and tables by the beach. The sand is white, the water turquoise, and the garbage is multi-color. 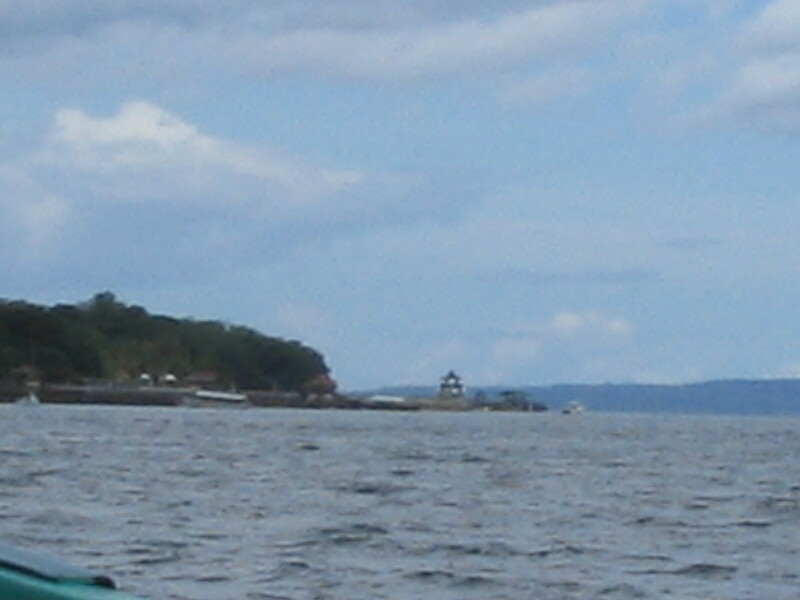 Unfortunately, the debris from the city, jsut 10 minutes away by boat, find their way to the Samal Island resorts. There are nets to minimize the plastics, and boatmen continuously scoop out the rubbish. With these efforts, the beach is passably, reasonably clean. While I do not like the throng of people, I must say that the staff make an effort to please their guests. Over dinner, I commented to the waiter that I couldn’t enjoy my beer without my cigarettes. 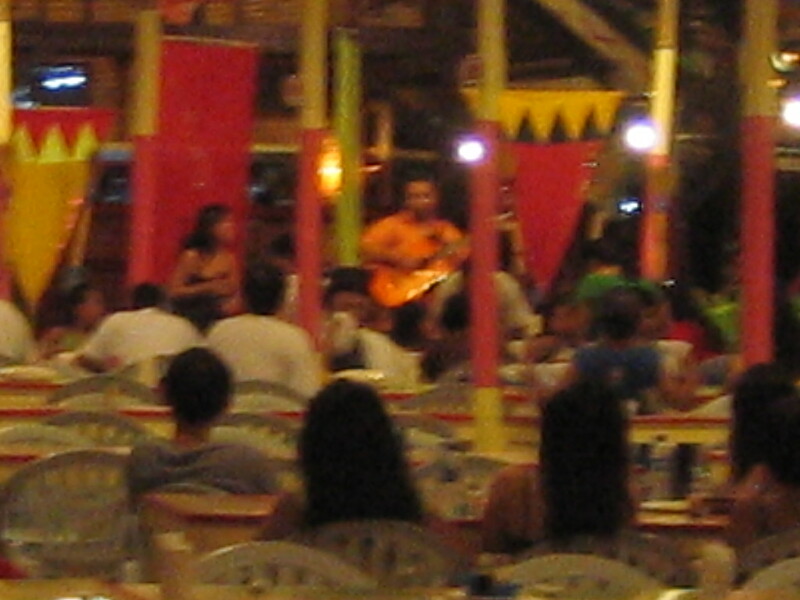 After dinner, he said he could set up a table for me within the canopied section of the designated smoking area. He brought me my beer and made my beer and cigarette experience complete. When I realized that the room had only one power outlet, in the lavatory, the friendly staff quickly gave me a long extension cord so I can use my computer even in the veranda, with the plug all the way to the bathroom. What else id there to do, other than swim drink and eat? I booked an inland tour, on a rented van, around Samal. It is at this point that I realized that Samal is not just Pearl Farm, and not just beach resorts. 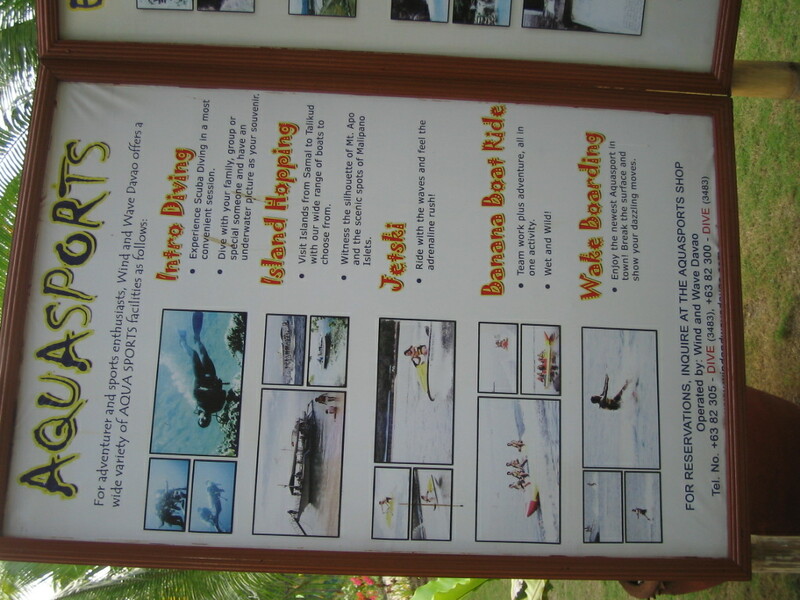 The van hire, was arranged by Paradise Island, at P2,500 for a maximum of 8 people. I couldn’t possibly scout for other guests to share the tour with me, so off I went with the van all to myself. I was given 2 bottles of water as part of the tour package. 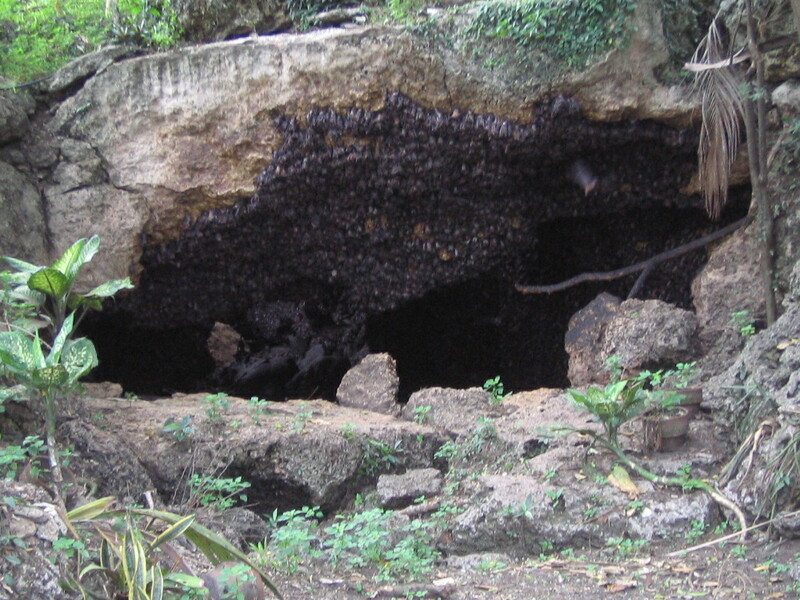 First stop was the Bat Cave within the Monfort property. 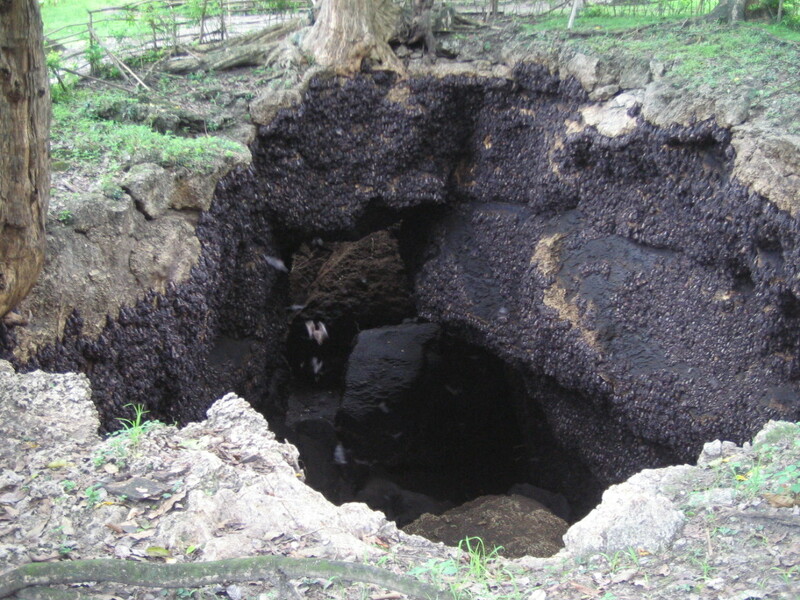 It is certified by the Guiness Book as the largest home of the type of bats inhabiting the area. 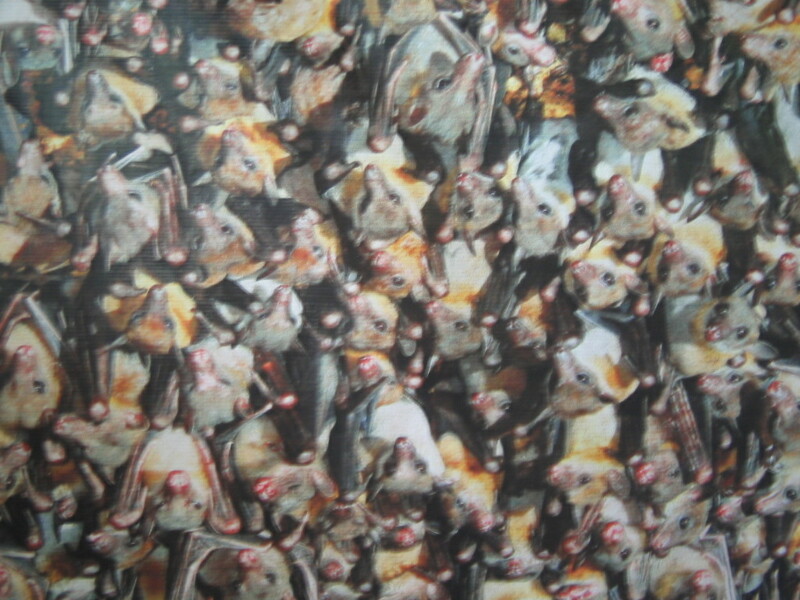 The official estimate is 1.8 million bats. 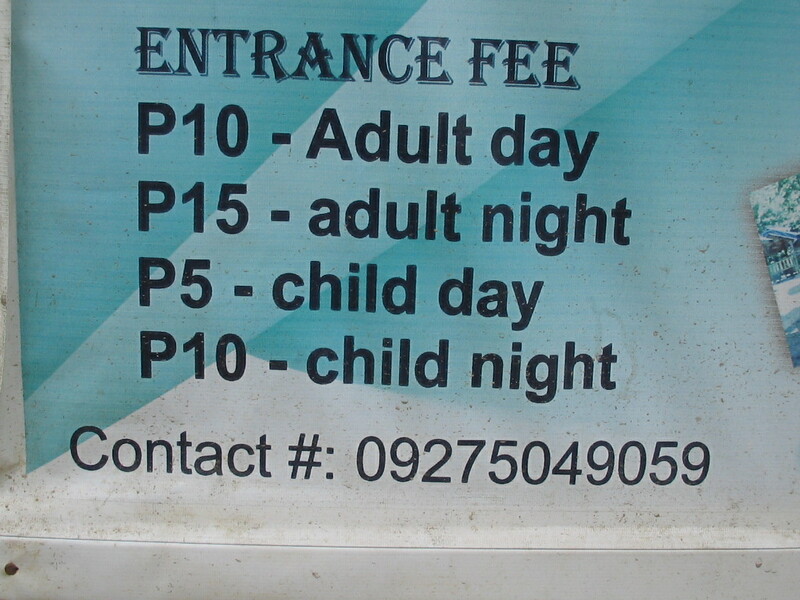 Entrance fee is P20. We then went to the city center, passing by the City Hall and the public market, for a feel of how locals live, outside of the uniforms they wear inside the resorts. 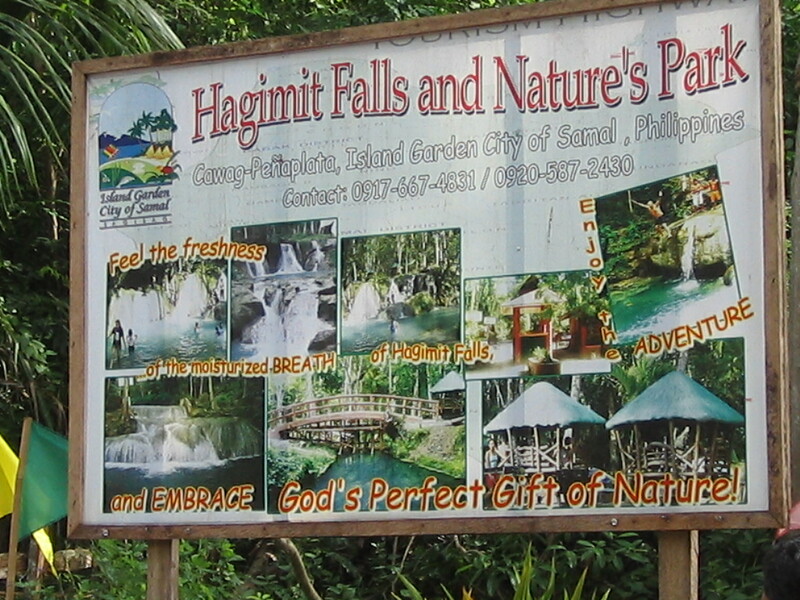 Next stop was Hagimit Falls. Entrance to the park is P40, but I saw the driver pay another fee before we got to this gate. He said it was a fee to help conserve the environment. The driver and I went down 120 steps to the park. 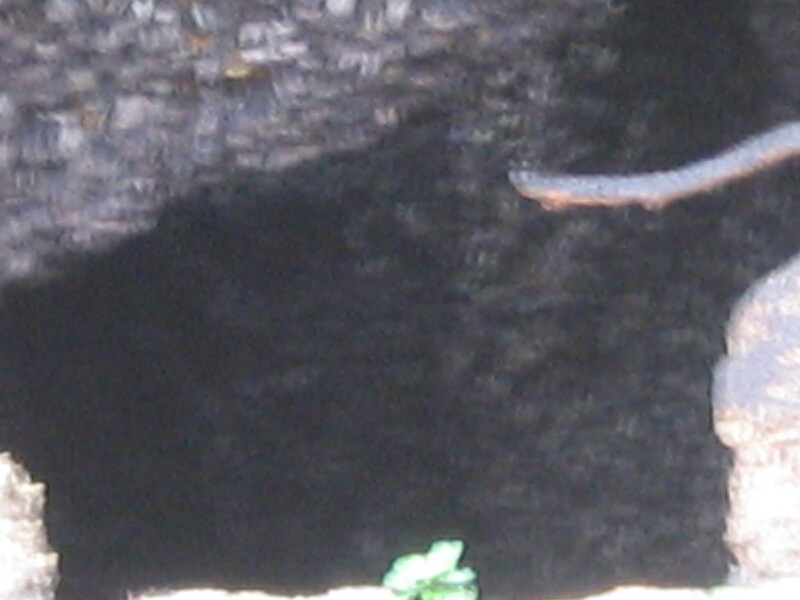 And then we went up to another area to see the source of the water, actually a spring. To my surprise, a lady collected another P10 entrance fee, saying the area is another private property. I realized later I shouldn’t have gone to that “source” area – – – there was nothing interesting to see. So we went back and headed to the picnic area where families go to picnic. 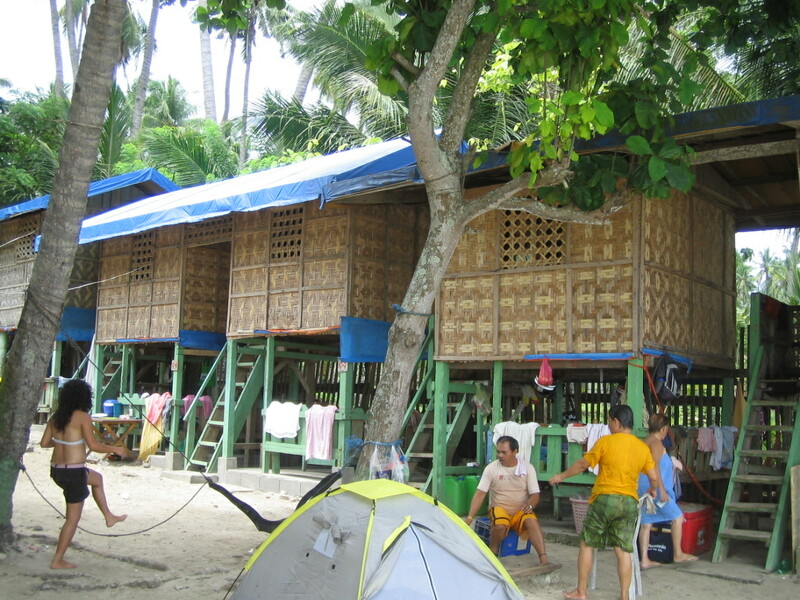 Small huts are rented out for P250. 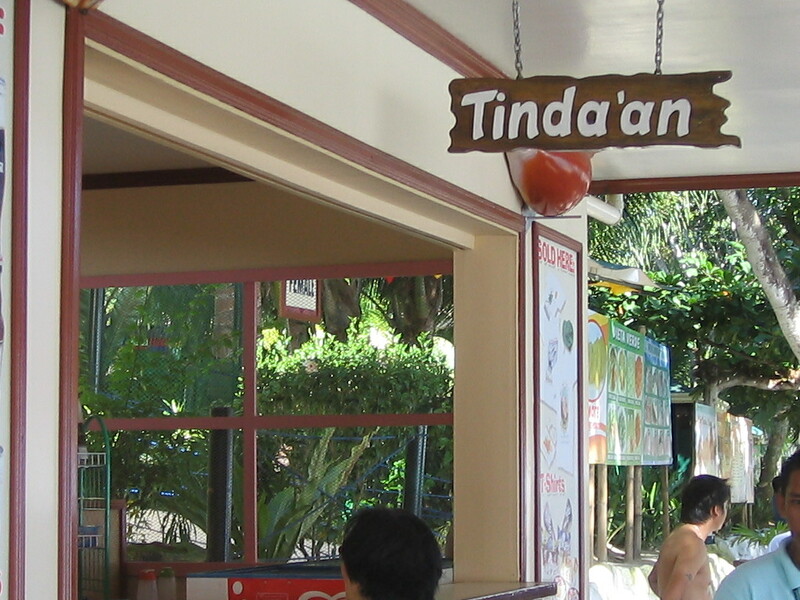 The area feels good, and reminds me picnics in Liliw and Nagcarlan in Laguna. Next stop was the White House, hardly looking white with the paint having chipped off. 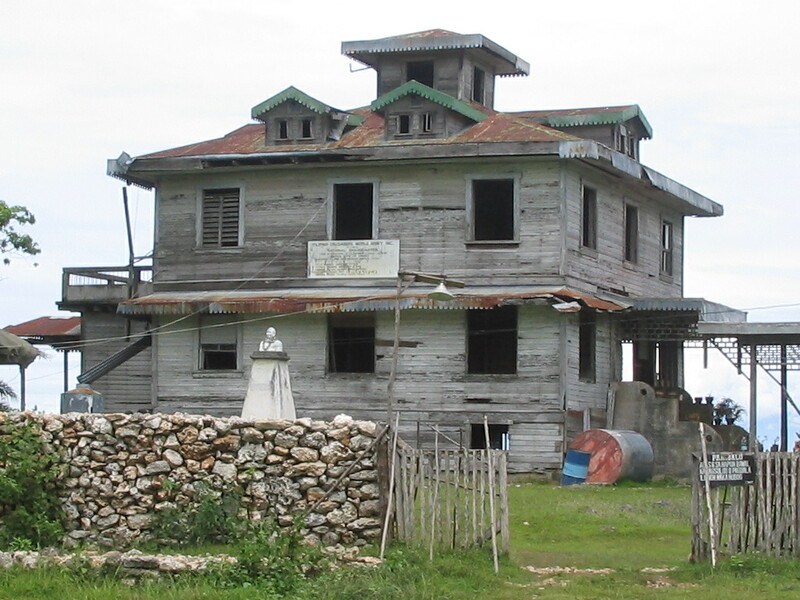 The house looks like a wreck, and stands only as a testament to Hilario Moncado, a man from Cebu who founded a cult in the area where believers are all vegetarians. Inside are old photographs of activities participated in by the group in its heyday. sacred place to the "Moncadistas"
no entrance fees to the White House, just a "doneys yon"
The location is excellent. Standing at the veranda, one can see the Davao Gulf and beyond. 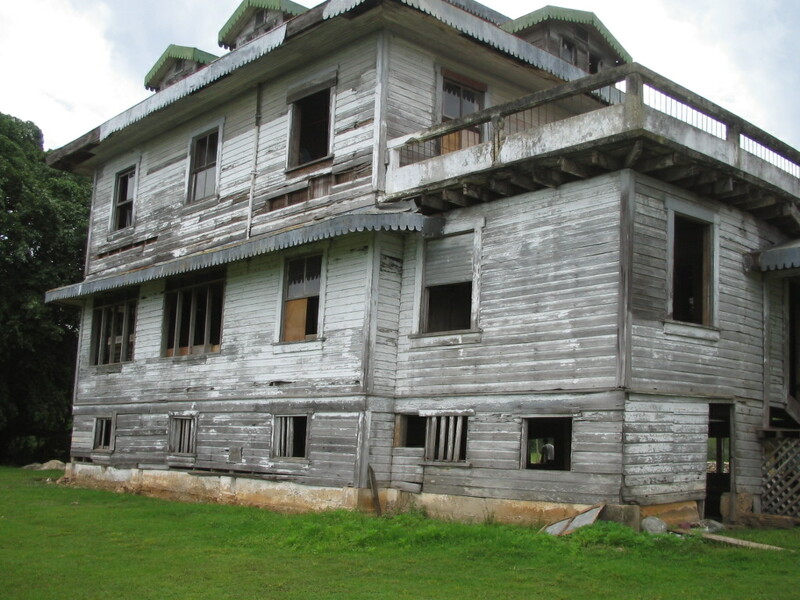 I asked why the house is in such disrepair, and why no one has offered to buy the property. He said that the believers consider the house sacred. 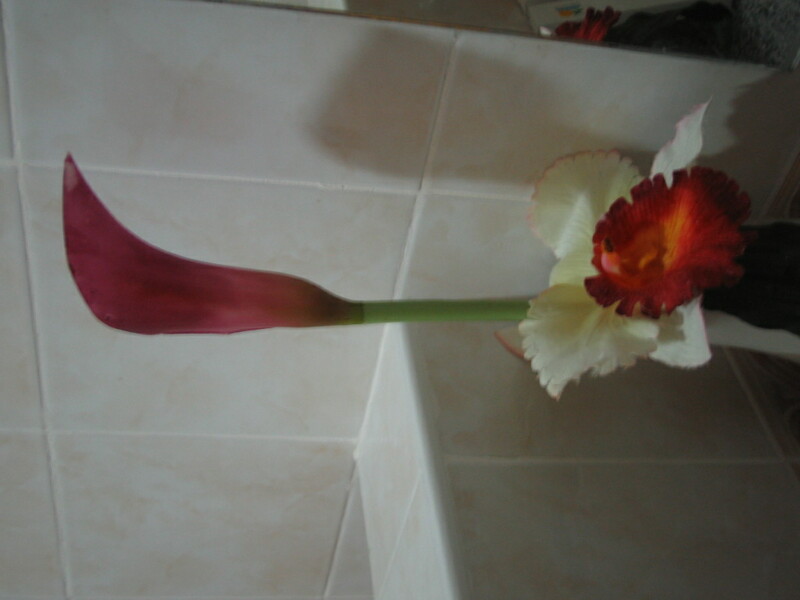 And that the Floirendos once made an offer to buy, and were politely refused. 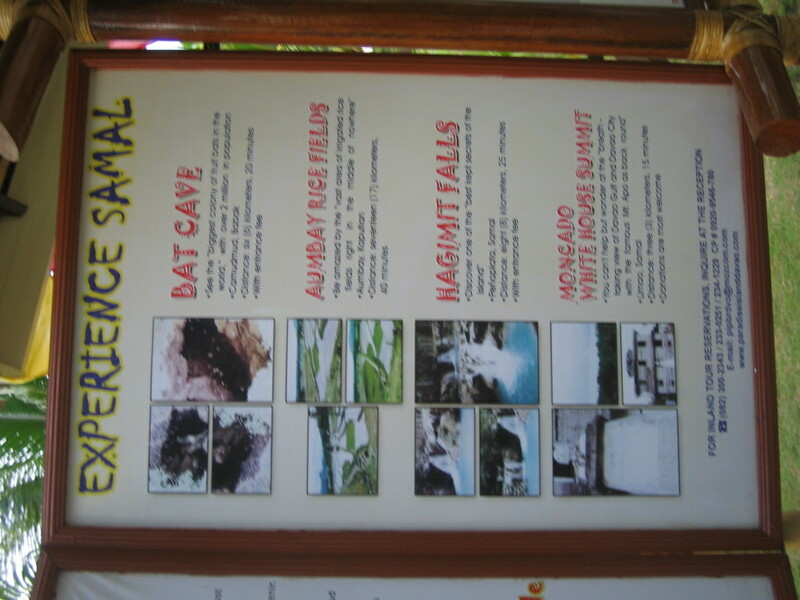 Not part of the tour, I requested to see other small resorts. The driver took me to what he said offered the cheapest accommodations in the island. 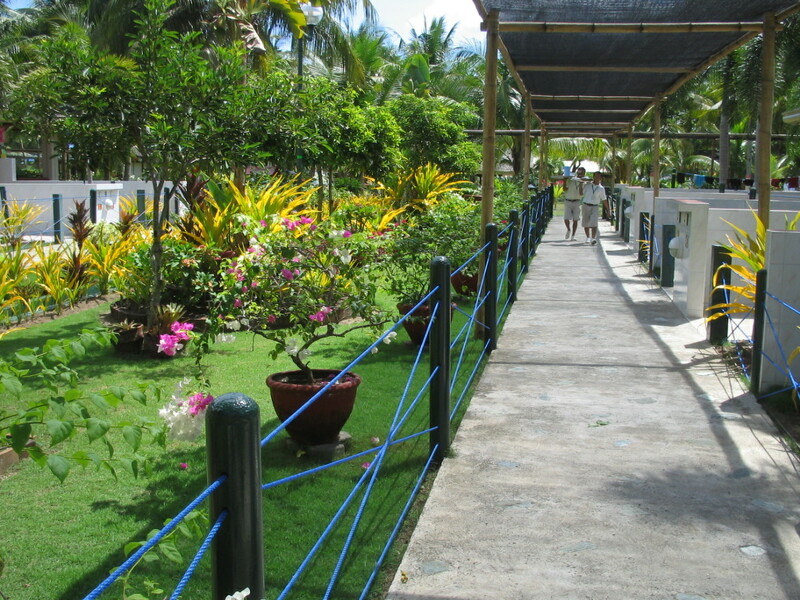 Popular among visiting students on a shoestring budget, Isla Beach Resort. As we were heading back towards Paradise island, he gave me a tip: a beautiful spot at the other side of the island has a very long stretch of white sand beach, and only a few, low-priced beach resorts operate from there. It is not popular because access is limited. 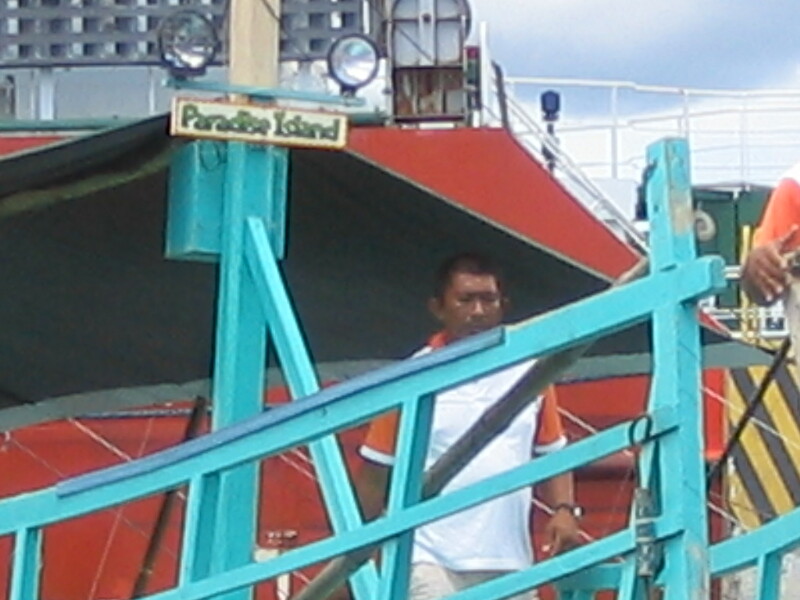 He suggested that I check out the place on my next visit, knowing I was ready to check out of Paradise Island. The place is called Canibad. Watch this space – – I might just make an update in the next few months. The driver is actually an excellent tour guide, He was born and raised in Samal Island, and his father used to be the caretaker of the land that became Paradise Island Resort which, he says, pioneered in the business and is the very first beach resort in Samal. 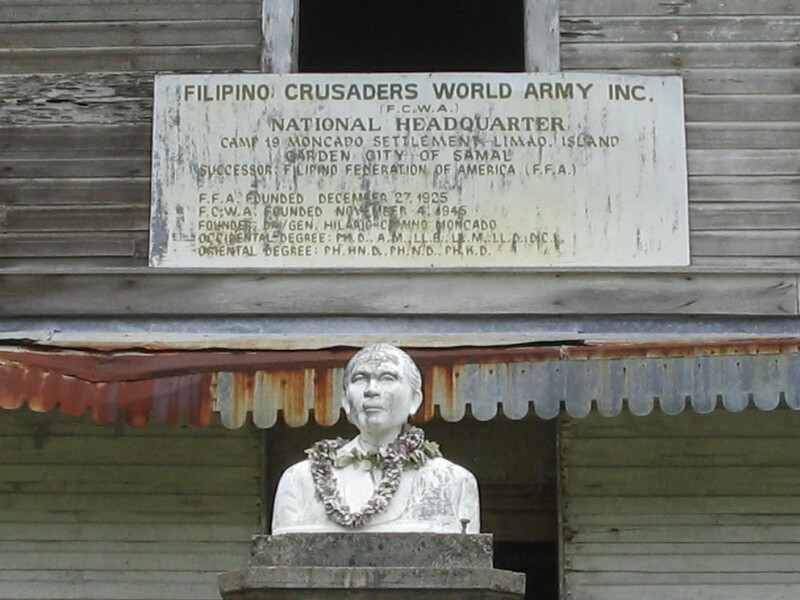 He talked knowledgeably about the White House, about Samal’s land area and population. He even gave tips on how to hire habal habal from the poblacion at 50% of the rate charged by those waiting at the inland gates of the prime resorts. His name is Jun Dungog, and you can message me to get his mobile number. 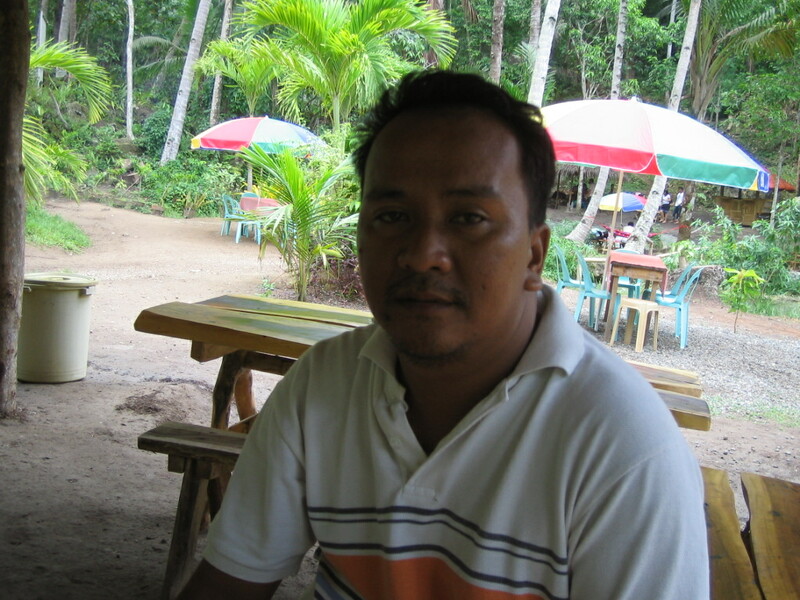 He could be contacted to give you a tour, or to take you to Canibad, even before I am able to return to Samal. Having started out as an unknowing tourist, I now know better. 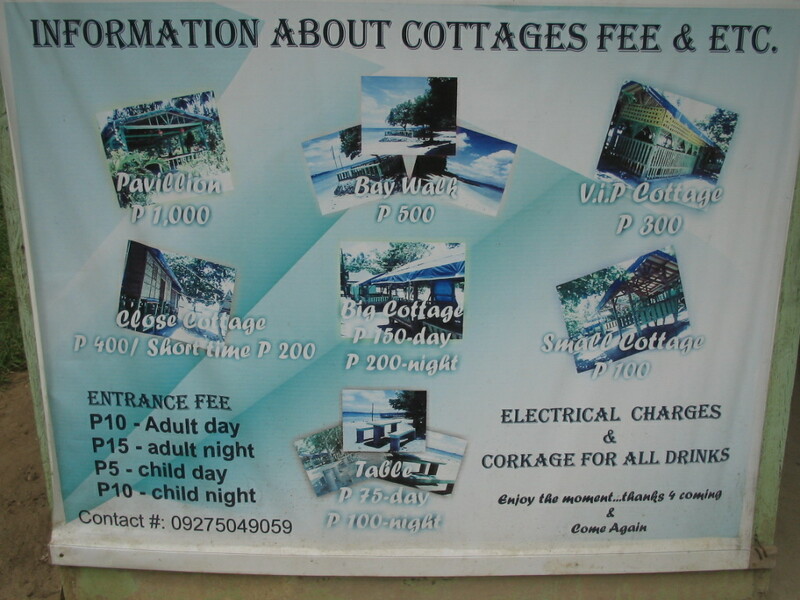 And I will gladly share how I should be doing Samal next time, on a budget. Go to Samal on a bus. 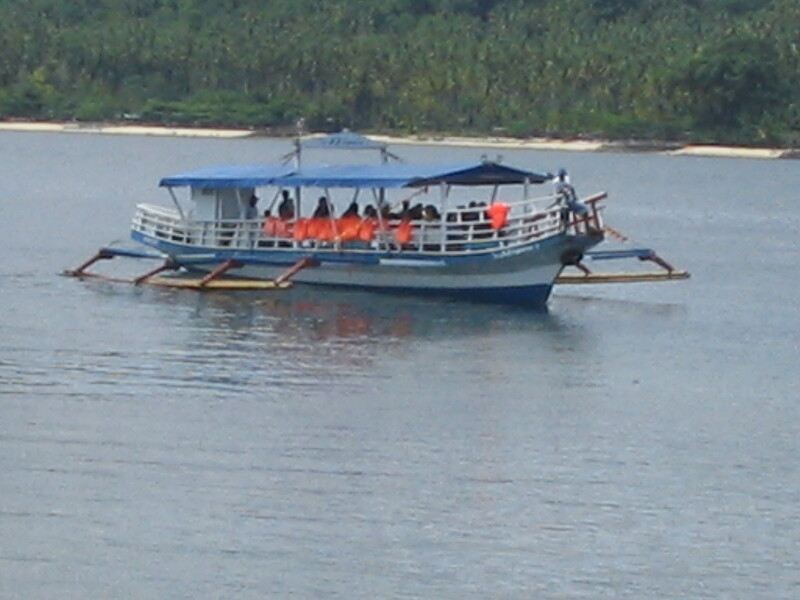 Fare is P25 to the Samal pier, P45 to the Samal City terminal, and P60 if on an aircon bus. Yes, there are buses from Davao City that go on ro-ro, together with the passengers, to Samal City. Get into any eatery to get settled, and to case the joint. Look for a habal-habal driver to take you around to the inexpensive accommodations. When I return, I will go around 3 or 4 before I decide which of the cheap ones I will find decent enough, and clean enough for me.Make sure I stay in Canibad at least one night. And in the next island, Talikud, for at least another night. And then I will go around the island on the habal habal, to work out a walking tour in my mind. I will then walk around and cover as much ground to feel the place. So that I could stop and smell the flowers. And maybe stay there for a week or so, spending just a night in Pearl Farm, or Paradise Island. 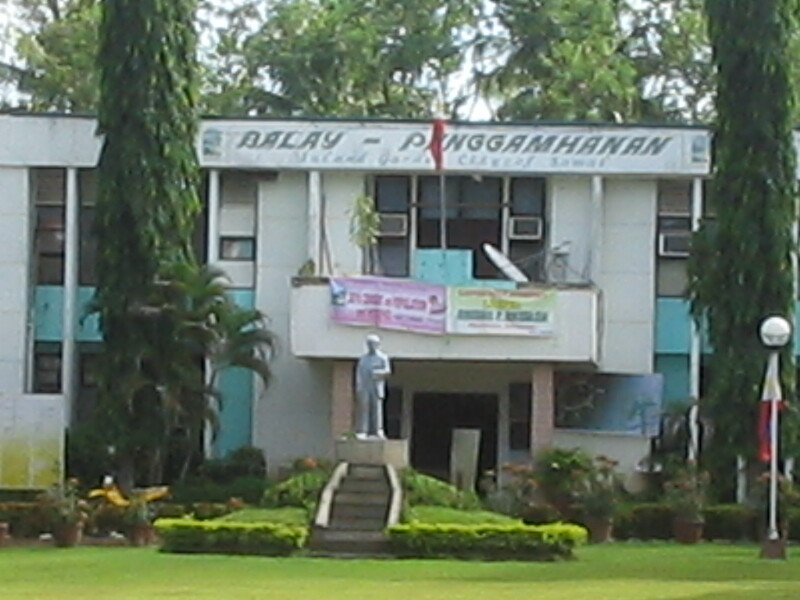 Masbate. So Beautiful. So Underrated.